Before Hon'ble Mr Justice Mohammad Yaqoob Mir, Judge. For the Petitioner(s): Mr. Shafqat Nazir, Adv. For the Respondent(s): Mr. M. I. Dar, AAG-for R1. Mr. Hashim Hussain, Dy. AG-for R2. Mr. M. Y. Bhat, Adv.-for R4. "Bachelor's Degree in law (Professional) with two years' actual practice at bar." 2. Petitioner and respondent No.4, amongst others, had also applied under OM category. Respondent No.4, on the basis of merit, has been appointed vide Government Order No.2762-LD (ESTT) of 2015. Aggrieved thereof, instant petition has been filed. 3. In the petition it is projected that the respondent No.4 was not possessing two years "actual practice at bar", therefore, was ineligible. That being so, the petitioner, who in order of merit figures at serial No.1 in the wait list of OM category, on exclusion of respondent No.4, will get included for appointment. 4. The controversy is as to whether respondent No.4 possessed the requisite two years "actual practice at bar or not". 5. 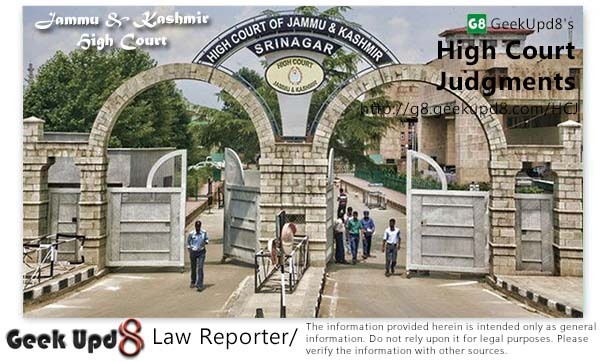 Principal District Judge, Anantnag, has issued experience certificate certifying therein that the respondent No.4 has been enrolled as an Advocate by the High Court of Jammu and Kashmir under enrolment No.JK-307/09, has got more than three years of actual practice at Bar as on 20.03.2013, as certified by President Bar Association, Anantnag. He is having experience of conducting Civil and Criminal cases, his character and conduct has remained good. 6. Contention of learned counsel for the petitioner is that it is a fact that the respondent No.4 has been enrolled as an Advocate in the year 2009 but in the year 2010 he was admitted for LL.M course in the Department of Law, University of Kashmir, which he completed in the year 2013. Thereafter he was engaged as a contractual lecturer in the Department of Law on June 9, 2014. Excluding the period for which he has pursued LL.M course, he does not possess two years "actual practice" at bar. (III) Till 16.10.2010 when he got admitted for LL.M course, he had already 1 year and 7 days' practice at bar. (IV) The Class work of LL.M concluded on 15th October, 2012 which fact is clear from the certificate issued by the Department of Law, University of Kashmir, so from 15.10.2012, he again was in active practice. off date for receipt of applications was 16.11.2013, which means that from 15th October, 2012 to 16.11.2013, he was again in actual practice as a lawyer. By taking the said broken periods, he had more than two years' experience on the cut-off date for receipt of applications for the posts. 8. Now the question, how the District Judge has issued experience certificate certifying that in the year 2013, respondent No.4 had more than three years of "actual practice at bar". 9. According to learned counsel for the petitioner, once respondent No.4 joined LL.M course, he should have surrendered his license which he has not. That apart, the period spent in pursuing LL.M course was to be excluded. 10. Contention of the learned counsel for the petitioner has been repelled by the counsel for respondent No.4 by placing reliance on the Division Bench judgment rendered by the Andhra Pradesh High Court in the case of "Tirumala Devi Eada V. State of Andhra Pradesh, Law (LA & J SC.F) Department (Andhra Pradesh)" and stated that the law graduate on completion of law graduation, if gets admission for LL.M course, he is not required to surrender the license. In addition thereto, pursuing LL.M course would also mean that he has been practicing law. It is only in the same background; the District Judge has issued the experience certificate. "226. However, the question that requires consideration is whether the period of nine months during which the candidate had pursued higher studies in United States can be taken into consideration while reckoning the seven years standing at the Bar." "230. As could be seen, none of the above rules prohibits an advocate from undertaking post- graduation course or any further studies. Nothing in the above rules either expressly or by necessary implication requires seeking permission of the State Bar Council or suspending his practice during the period when an advocate undertakes further studies either part time or full time." "234. Therefore, the contention on behalf of the petitioners that the nine months' period during which the candidate at Sl. No.5 pursued LLM Course in United States ought to have been excluded while reckoning his standing at the Bar deserves to be rejected." "3. As the appellant had not been appointed to the post in question, he had filed the aforestated writ petition before the High Court of Andhra Pradesh. While deciding the writ petition, the High Court had come to a conclusion that though the appellant had completed seven years as an advocate, he had not attained the age of 35 years at the time when the advertisement had been issued i.e. on 19-8- 2010 and, therefore, the appellant was not eligible to be appointed to the post in question. Thus, on one count the petition filed by the appellant had failed and therefore, by filing this appeal the appellant has approached this Court contending that it was not necessary for him to have completed 35 years of age for being appointed to the post of District and Sessions Judge (Entry Level) in the A. P. State Judicial Service." 15. The above para clearly suggests that the position of possessing requisite sever years' experience was not challenged nor interfered with. In effect, the Division Bench judgement of the Andhra Pradesh High Court relatable to the position of standing at Bar, including period of pursuing LL.M course is intact. "20. It was next vehemently contended by the petitioners that actual practice would mean that the concerned candidates should have appeared before courts and conducted cases during these two years. It is difficult to accept this contention. A member of the bar can be said to be in actual practice for 2 years and more if he is enrolled as an Advocate by the concerned Bar Council since 2 years and more and has attended law courts during that period. Once the Presiding Officer of the District Court has given him such a certificate, it cannot be said that only because as an advocate he has put in less number of appearances in courts and has kept himself busy while attending the courts regularly by being in the law library or in the bar room, he is not a member of the profession or is not in actual practice for that period. The words 'actual practice' as employed in rule 9 indicate that the concerned advocate must be whole time available as a professional attached to the concerned court and must not be pursuing any other full time avocation. To insist that the terms 'actual practice' should mean continuous appearances in the court would amount to rewriting the rule when such is not the requirement of the rule. There is no substance even in this additional aspect of the matter canvassed by the learned senior counsel for the petitioners. It must therefore be held that respondent no. 10 & 13 were eligible for competing for the said posts of Munsiffs." 17. Learned counsel for the petitioner contended that as per Higher Judiciary Rules of Andhra Pradesh, the requirement was that the Advocate (candidate) must have seven years standing at Bar whereas in the case at hand the requirement is two years actual practice at Bar, therefore, judgements as referred to and relied upon by the learned counsel for the respondent No.4 are distinguishable as according to him "standing at Bar" and "actual practice at Bar" are two different expressions having two different connotations. To measure a specified height when standing; To assume a specified position: to stand aside To have or be in a specified state, condition, or relation. Something real or actually existing; a reality, In finance, actual assets or receipts. "211. While respectfully agreeing with the opinion expressed by the Division Bench in P. JEEVAN's case (54 supra), we may also add that permitting a person who is not a practicing advocate on the date of submission of application would amount to giving an interpretation contrary to the scheme of the Constitution of India that the judiciary shall be an independent service. If such interpretation is given, it would permit appointment as District Judges of those persons, who had been advocates for not less than seven years, but ceased to be advocates and are in other avocations or professions or services unrelated to the legal profession or services unrelated to the legal profession. It seems to us that the very intendment of Article 233(2) is appointment of a person who is actually practicing the profession of law. Any other interpretation would enable a person who at the time of submission of application is in a service unrelated to profession of law. Any other interpretation would enable a person who at the time of submission of application is in a service unrelated to profession of law but completed seven years standing at the Bar sometime back to qualify himself for appointment to the post of District Judge. This is what the Supreme Court had actually deprecated in CHANDRAMOHAN'S case (48 supra) while answering the question whether the Governor can appoint a person who is in the Police, Excise, Revenue or such other service as a District Judge." "215. In the counter affidavit filed by the said candidate by name Sasidhara Reddy Sura, the fact that he pursued studies for a Master of Laws Degree in Untied States for a period of nine months from September, 2006 to May, 2007 is not disputed. However, it is contended that there is nothing in the provisions of the Advocates Act, 1961 and the various rules framed by the Bar Council of India and A. P. State Bar Council prohibiting an advocate from undertaking postgraduate studies. It is further contended that there is not even a requirement to inform the Bar Council or seek its permission for pursuing postgraduate study and on the other hand, the Bar Council of India by Resolution no. 160 of 2009, dated 20.12.2009 had permitted the practicing advocate to undertake regular L.L.M without suspending practice. That apart, a Master of Laws Degree has been always considered a higher qualification both in the practice of law as well as in the judicial service. The prescription of seven yeas standing only to ensure a level of familiarity with the procedure of the courts and knowledge of the law. 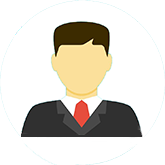 Therefore, such specialization is to be considered to be only in furtherance of professional carrier. It is also stated that the fact that he had pursued further studies in United States for a period of nine months was mentioned in the application submitted by him in response to the advertisement dated 18/19.08.2010 and having found the same to be proper he was allowed by the High Court to participate in the selection process. 21. The word "avocation" as employed in para 20 of Madan Lal's judgement would suggest that a candidate must not be pursuing any other fulltime avocation. The word "any other avocation" means avocation different to profession of law. Nothing in that direction has been projected in this petition. 22. For the stated reasons and circumstances, petition being without merit is dismissed. (I) Whenever an actual practice certificate or a certificate regarding standing at Bar is to be issued, High Court of J&K (Grant of Actual Bar Practice Certificate) Procedure Order, 1995 issued vide order No.352 dated 26.08.1995 shall be strictly followed. (II) A law graduate when enrolled on the rolls of Bar Council has to be treated in actual practice or treated to have standing at Bar as long as he remains connected with legal profession only which include higher studies in law i.e. LL.M or LL.D, drafting of petitions, consultation which, in effect, would mean that he is practicing law. (III) Appearance in the courts in connection with cases is not the only factor for grant of practice certificate. (IV) A law graduate who though enrolled as an advocate but is not connected with the profession of law or is in regular service of the Government of any other establishment, institution, unconnected with profession of law, in short pursuing any other full time avocation unrelated with the profession of law, shall not be treated to have standing at Bar or to be in actual practice at Bar. (V) Copy of this judgment shall be circulated to all Principal District & Sessions Judges of the State for information. Law Graduate pursuing LL.M or LL.D to be considered in Actual Practice. (I) Whenever an actual practice certificate or a certificate regarding standing at Bar is to be issued, High Court of J&K (Grant of Actual Bar Practice Certificate) Procedure Order, 1995 issued vide order No.352 dated 26.08.1995 shall be strictly followed. (II) A law graduate when enrolled on the rolls of Bar Council has to be treated in actual practice or treated to have standing at Bar as long as he remains connected with legal profession only which include higher studies in law i.e. LL.M or LL.D, drafting of petitions, consultation which, in effect, would mean that he is practicing law.